HUZZAH! Those Summer BBQ’s are gonna have a little more local flavor thanks to the Summer extension of the Broken Stove Beer Tasting Club! Our brewer has announced a 4 month Summer membership. For just $65 you can get in on the local, homebrew magic. 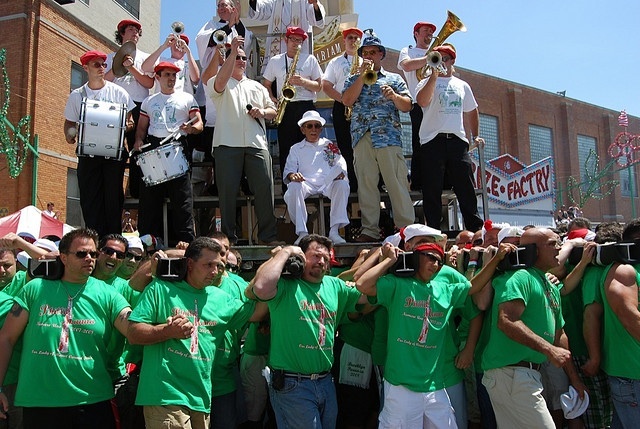 Beer doesn’t get more craft or local than this — unless you do it yourself! Spots are limited so act fast and claim your spot today. 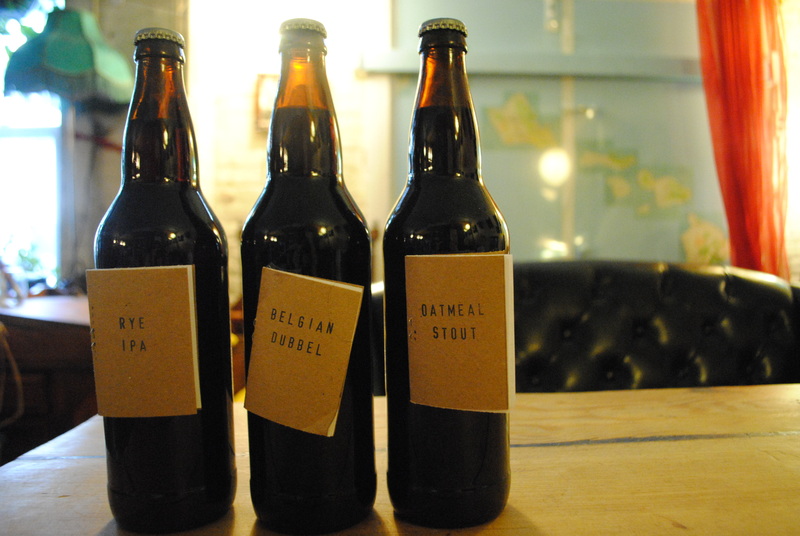 Each month, you will receive 3 varieties of beer in your share. James will be brewing up Pale Ales, a Gosse, an English Brown, 3 different Belgians, and Summer Ales. A booklet will be provided to each member to record tasting notes. For the foodies in the house, we will post a write up about each beer flavor so you can play and pair your monthly beers for an amazing culinary experience. 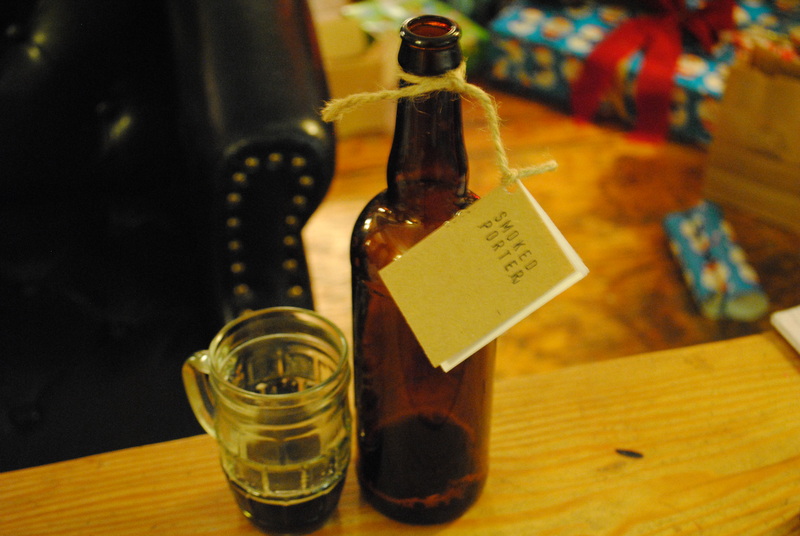 On January 19th, Southside CSA hosted one of our fave events — the Beer Tasting Potluck. It’s the day when we get together, drink delicious small batch craft beer brewed by James Kinnie of Broken Stove Brewery and eat tasty treats. Eat and drink local, that’s our motto! Actually this should be entitled Cooking with Fabulous Homebrew. Le sigh – how we LOVE our Broken Stove Tasting Club membership(s). Yes, that is plural – we are in the lucky situation of multiple memberships — an old roomie bought us an additional share. Best. Gift. Ever. It has been a fun few weeks of festive cooking and holiday gatherings. 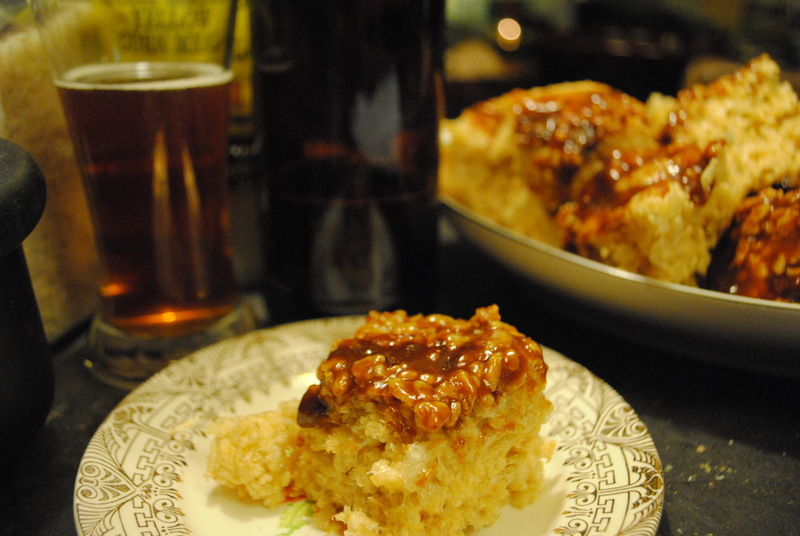 While we drank most of our beers paired with yummy holiday food like the Smitten Kitchen Salted Brown Butter Crispy Treats topped with Brown Eyed Baker Salted Caramel (pictured above), Mac & Cheese, and holiday hams, we did a little experimenting and discovered some fun new ways to rock a beer in the kitchen…. 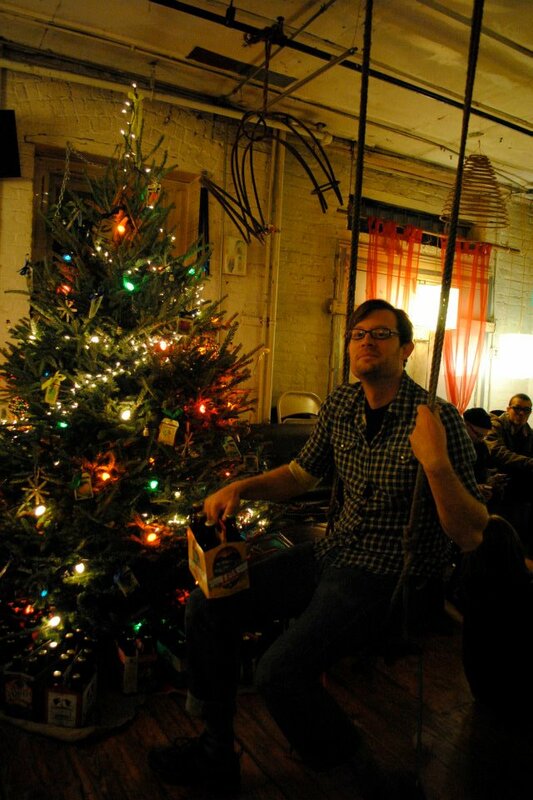 Brooklyn is our home and we celebrate the holidays here with a serious gusto. This includes hosting giant family parties filled with fun and food. This year one of our dear friends suggested we try something new for our Christmas Eve fare. Instead of rocking our starting-to-become-a-tradition homemade Christmas Eve Pizza Night, he suggested that we keep in theme with the Great Cake Bake (more on that below) and have a fondue fest. What an amazing idea! We had a really fun time rocking out a series of fondues — a traditional raclette and a raclette “casserole”, a traditional Swiss fondue, a Stilton fondue, an Anchovy-Butter Fondue, a Meat Broth Fondue, a Salted Caramel Fondue, and a fun new fave — Irish Cheddar & Beer Fondue. I think this is the recipe i used — Cheddar & Stout Fondue — It was such a festive night with so many fondues and cakes being made that i am not 100% positive…. 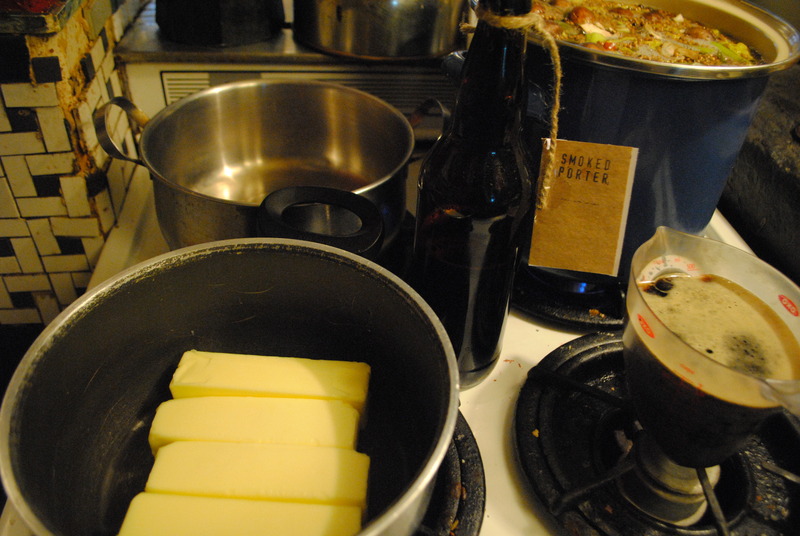 I do remember the yummy fondue — strong cheddar mixed with the deep flavors of the Broken Stove Smoked Porter. We served it with all sorts of goodies — bread, cauliflower, broccoli, apples, sliced peppers, potatoes, and beef. Super divine! We ripped off this amazing idea/recipe from In Ania’s Kitchen for our Winter Solstice Party — Golonka na Piewie z Miodem. We used all her measurements & ingredients but due to time and other additional factors — like a birthday cake in the oven — we decided to whip up our hocks in our pressure cooker. I love my pressure cooker dearly and have found that pork hocks are best when prepared in this device. I had 4 hocks so we doubled the recipe, placing 2 cups of our Smoked Porter and 1/2 cup of honey into the pressure cooker. Our honey was a special purchase from one of our CSA members who has a hive on his Fort Green rooftop. After 45 minutes of pressure cooking, we opened up the pot to the delicious smell of pork, honey, and beer. We pulled out the hocks and started removing the meat, chopping and shredding it up. I have to admit to being in a bit of a rush and probably should have spent more time carefully chopping because a few seriously big and fatty pieces made it into the serving dish. D’oh. Regardless of those “rustic bites”, the hocks were fabulous. While I was chopping, Marion (french chef divine!!) began simmering the beer/honey sauce and whipping up a roux to thicken it. After about 15 minutes, we had this deliciously thick beer honey gravy ready to be mixed with the chopped pork. It was so so yummy I seriously can’t wait to get more hocks in the meat share!! 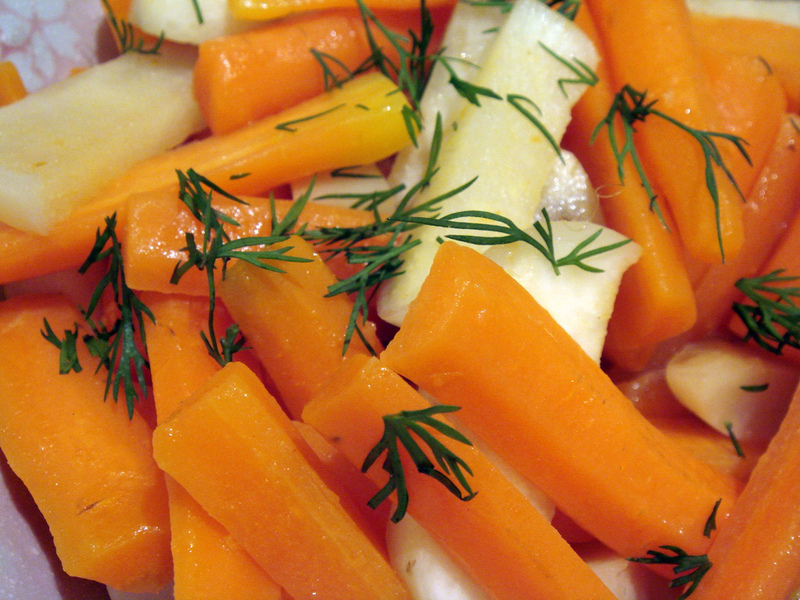 We have been going to the Smitten Kitchen blog non-stop for recipes, ideas, and retakes on vegetables. One of our holiday traditions is our (infamous) Christmas Eve Cake. 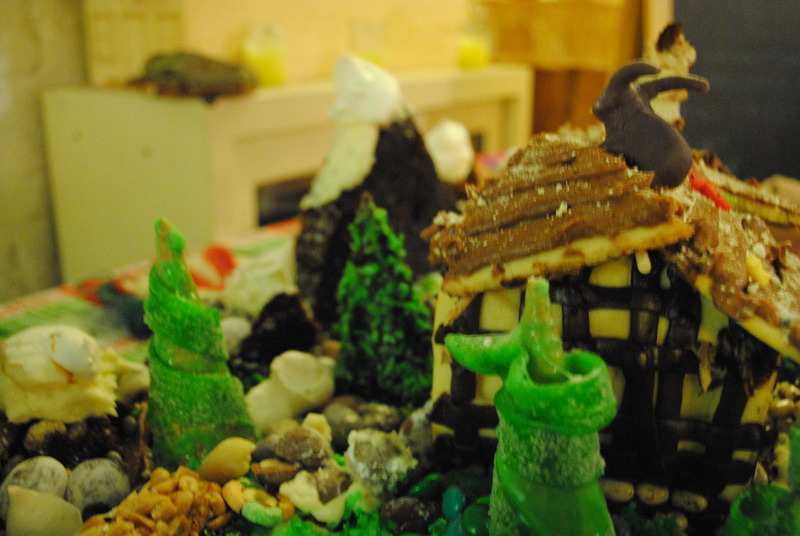 On Christmas Eve we bake up a crazy big cake and decorate it with a candy landscape and marzipan flora & fauna. 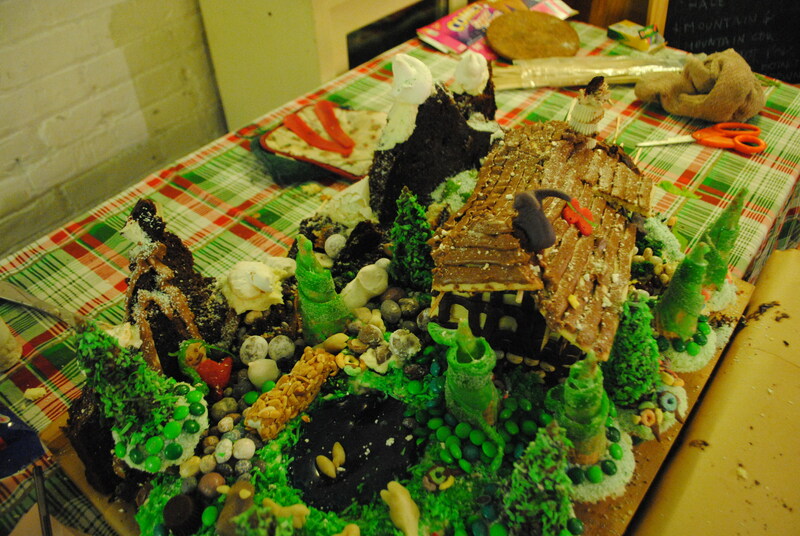 The cake recipes must be moist and delicious, holding up the diorama aesthetics while delivering a tasty treat. One of Yolim’s fave treats from the past year were the Guinness cupcakes our friend brought over to celebrate Buy Nothing Day; He wanted that flavor in the mix of the Christmas Cake. I didn’t want to bother my friend for the recipe, but kinda remembered a post on my fave cooking blog. One quick search and I had a recipe for some ganached guinness goodness. I followed the instructions, merely substituting our Broken Stove Smoked Porter for the Guinness Stout called for in the recipe. Unfortunately, we got caught up in a night of mad holiday celebrating and didn’t bother to take pics of the “raw” cake with our camera. (We did instagram that shiz so…..) However, Smitten Kitchen has some great pics of the cake and baking process that would put anything we snapped to shame. We might not have stopped in time to take pics, but the results are more delicious than can translate through our camera. Super-deluxe!! 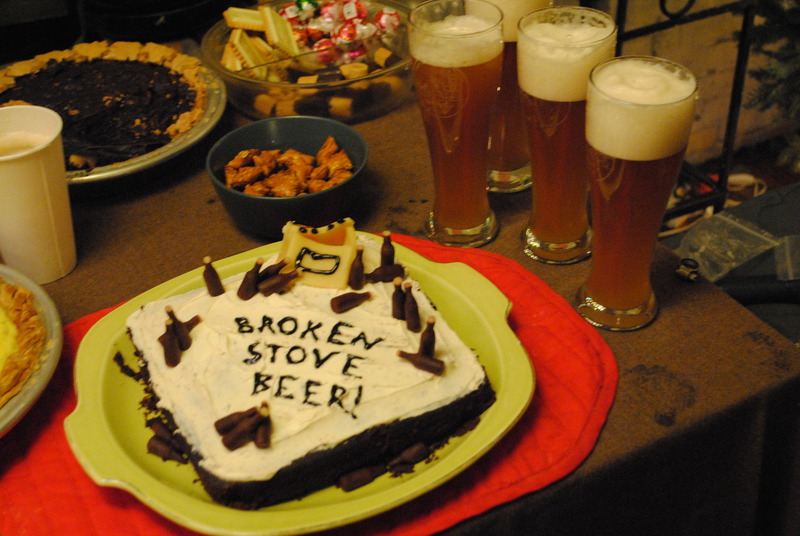 The cake was divine — as promised — but of course with the yummy beer and butter and chocolate combo, no one was surprised at the delectable final result. Do yourself a favor and make this cake the next time you need to celebrate!! Although I love nothing more than pouring out a glass of James’s homebrew, I can’t recommend enough experimenting in the kitchen with beer. The flavor and dimension it adds to the dish is so worth it!! Plus, who says you can’t drink it while cooking with it! 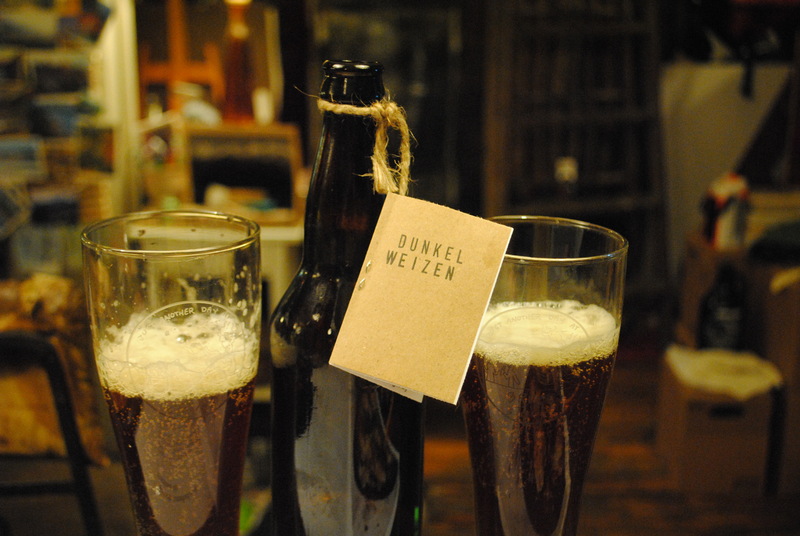 Love home-brewed beers but don’t have the time, space, or patience to do-it-yourself? 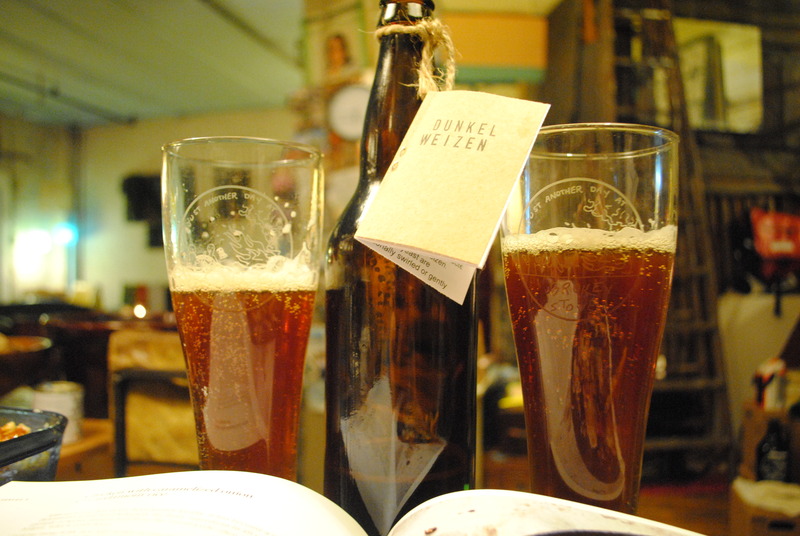 Get a monthly dose of local, sustainable, hand-crafted beer! Email Southside CSA for info on how to join. We will also being selling memberships as gift packages at the Winter Fair Fundraiser at the Greenpoint Soup Kitchen – Dec 21st — 12-4pm — 136 Milton St in Historic Greenpoint. Perfect holiday gift for the beer snob in your life! Member Diary #3A: Jessica M.
Hi! My name is Jessica and my boyfriend Jack & I chose the Berry Monte share with Southside CSA. This is our first try with any CSA, ever. We are pretty excited because our list of favorite things to do includes: Go to metal shows, be really loud, drink beer, and cook really good food with our friends. My boyfriend is doing the whole Paleo thing right now (aka “the caveman diet”) so we were excited to get our veggie/egg/berries in surplus this summer. When we went to pickup on Monday the 21st, it was a rainy evening; so all distribution was moved indoors. 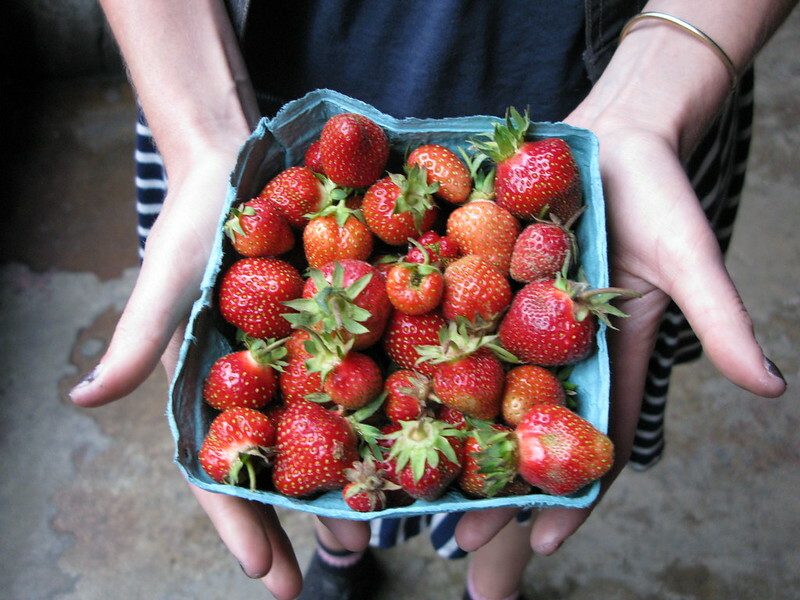 But that didn’t mean we weren’t absolutely stoked – Strawberries! The first of the season! It’s a rainy Sunday here in Williamsburg and Earth Day in McCarren Park has been postponed until next Sunday (May2). Here on the Southside, we were up early but in no mood to venture outside into the wet streets. (Not to mention that our favorite brunches in the hood don’t start until 11am at the earliest…) Well, good thing we too have kitchen skills. Have to say, not much is better than homemade brunch featuring Yo’s secret recipe for the fluffiest pancakes ever topped with Maple Syrup. Usually associated with Vermont or Canada, Maple Syrup is also a product of New York State. However, local maple syrup can be pretty difficult to find in the City. Our local bodega carries organic syrup but its from a factory in Vermont. Thanks to one of our fab members, we have been hooked up with the fine people at Circle C Maple Farm and now there is a plethora of New York Maple Syrup to be found on the Southside. The Maple Share isn’t really a “share” in the traditional sense of the word. There will not be weekly deliveries of Maple Syrup since the season for Maple Syrup comes once a year (and is usually the first sign of Spring). 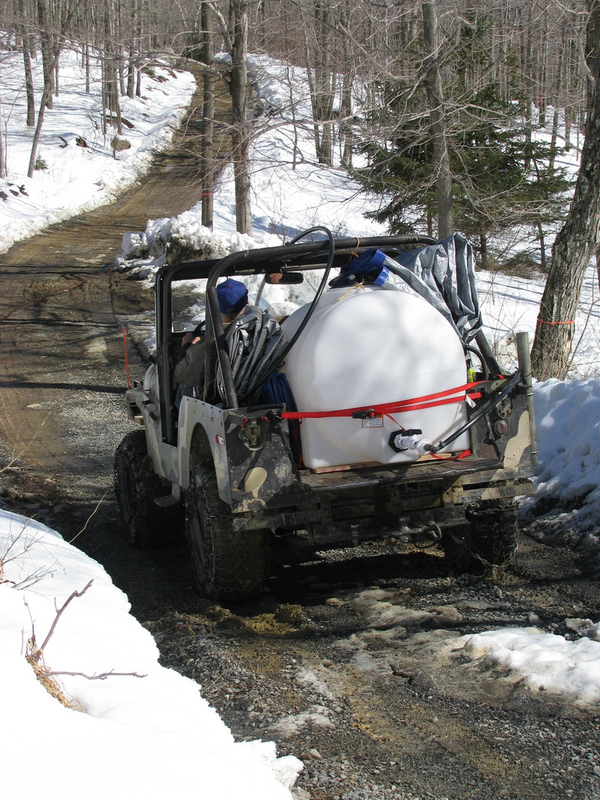 Our farmers will be delivering the syrup the first week of our 2010 season and members can pick it up at either the first or second distribution. The idea is to buy up your year’s supply of syrup and reap the sweet yumminess of NY maple all year long. Not just for pancakes, Maple Syrup can work as an essential ingredient for many savory meals and sweet treats. Everything from a sugar substitute to a flavoring for a craft beer or vinagrette, Maple Syrup is all over the place. This particular quote stuck with me. “Everything has to do with the weather, just like in any other kind of agriculture,” Pete added. “You can’t control the weather, and that’s the whole trick of farming.” I have been a member of a CSA for 8 years now, having my eating habits dictated by the yields of the field. Bouncing from years of early spinach and bountiful tomatoes to ones when the weather didn’t cooperate with my favorite recipes. Our maple farmers have been making syrup for their family for years now. 2010 is the first time that they had sold outside the family, thinking Circle C was ready to produce more and hook up with some NYC CSAs. 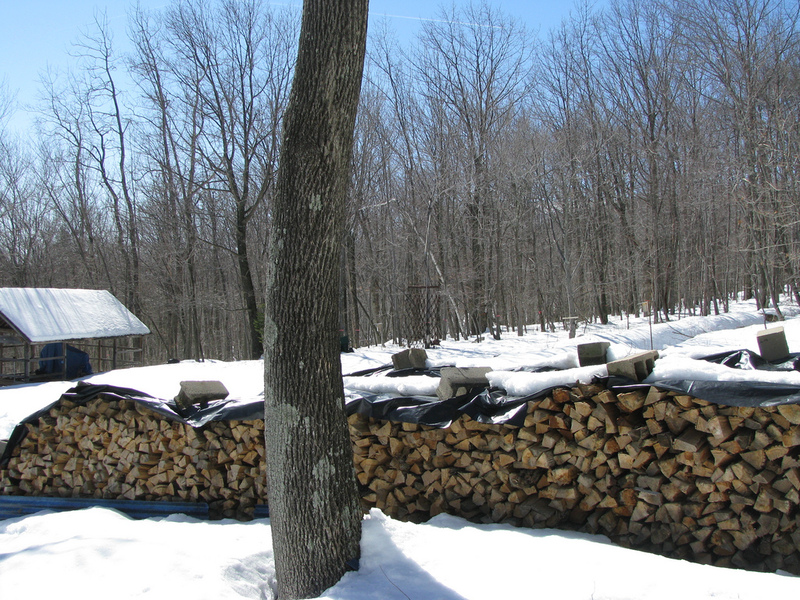 However, Mother Nature was not quite cooperative this Spring, as far as maple sap is concerned. 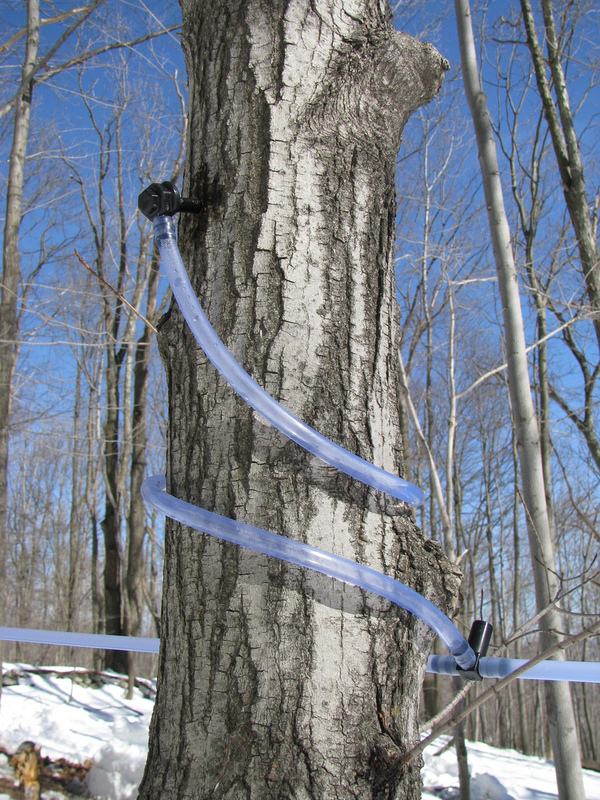 The first sugaring came in early March with a steady flow of sap. But then it got too warm; Most NE maple syrup producers had a short season. In Central New York it was over by April 9th. Circle C came in with a grand total of 33 gallons of syrup this season. They had 2 more sugaring events on their calendar. According to the newspaper, Maple News, a maple producer in Vermont who typically produces 300 gallons a year, was only able to produce 60 gallons. For our farmers this translated into a lot of $$ put into preparing for a big season, only to barely harvest a fraction of the expectation. In preparation Joe @ Circle C had hand built a new, larger evaporator for the season. He and his wife, with their snowshoes tied, tapped 725 trees in two feet of snow; 525 more than last year! At the end, they had three more holding tanks waiting to be used, each waiting for 250 gallons of sap. This year they kept the fire going with all wood and no oil. Unfortunately a pan was burnt during the very last sugaring as the fire got too hot. Despite a crazy sugaring season, Joe & Cathy are already planning for next year and are off to get more supplies and meeting with other producers soon at the 44th annual Vermont Maple Festival. For those of you who are looking to reduce your carbon footprint, locally harvested and produced Maple syrup is a great way to reduce your consumption of non-local sugarcane based products. Maple can replace sugar in lots of recipes and can make a real impact in your footprint size. Maple syrup could be utilized more in our local diets and menus. 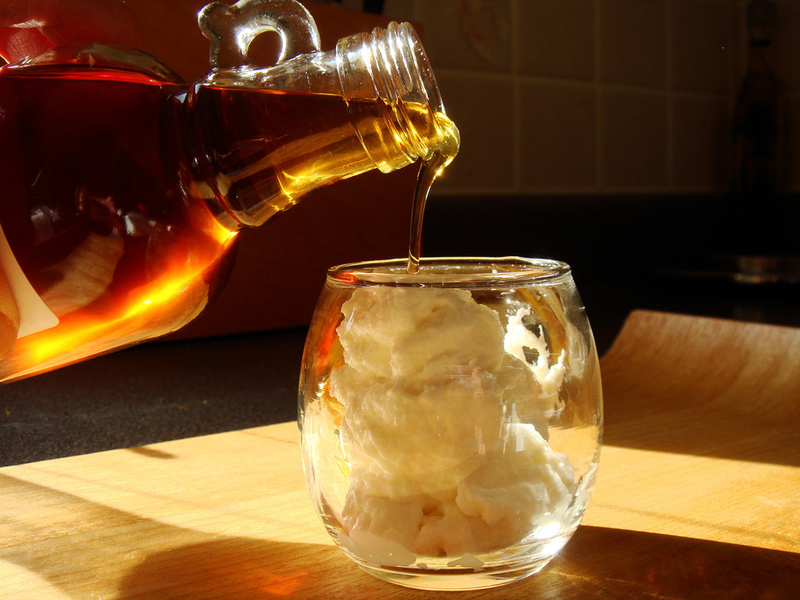 Check out some yummy ways to cook with Maple Syrup. 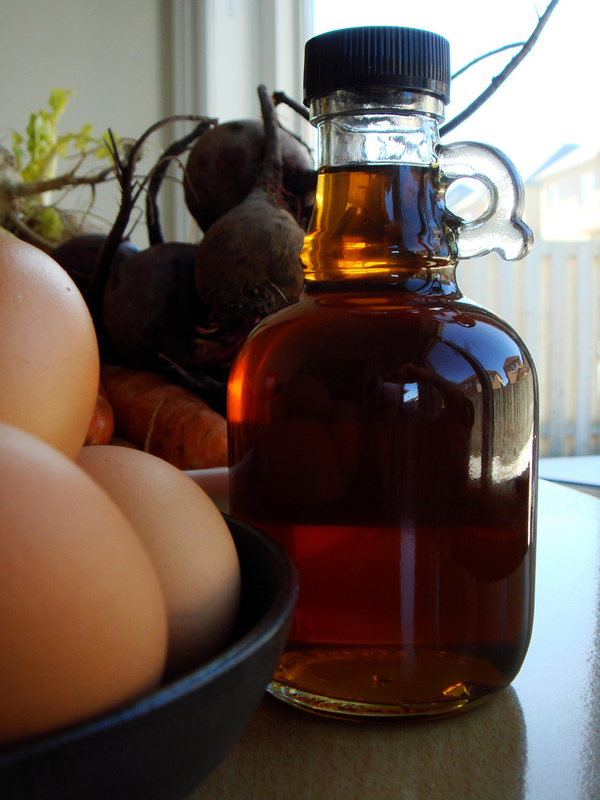 Support our local producers by ordering some Maple Syrup through the Southside CSA. Details about prices and sizes available on the FARMs page.